Good. Let’s have some fun. 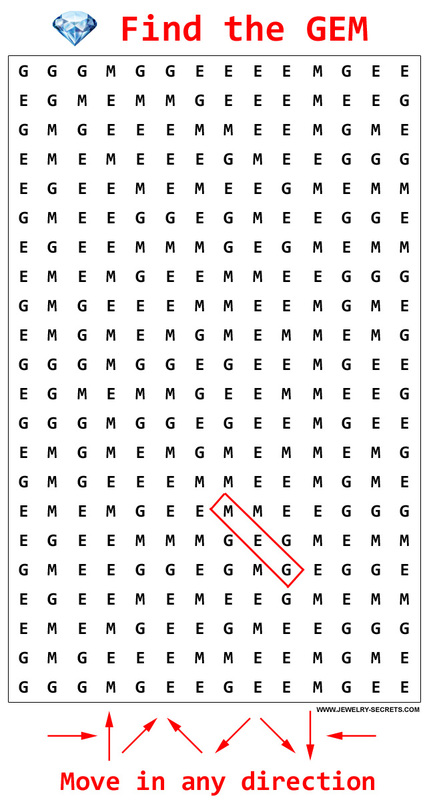 I’ve created a word search puzzle that holds one hidden GEM. That’s right, JUST ONE. One word; GEM, located only once in this entire crazy eye-boggling puzzle. Search in any direction; up, down, sideways, diagonal, to find the G E M.
And trust me, it’s not easy, but it’s there. Plus, you can play online, or print out a free PDF version HERE. Print it out, and search for the hidden GEM. 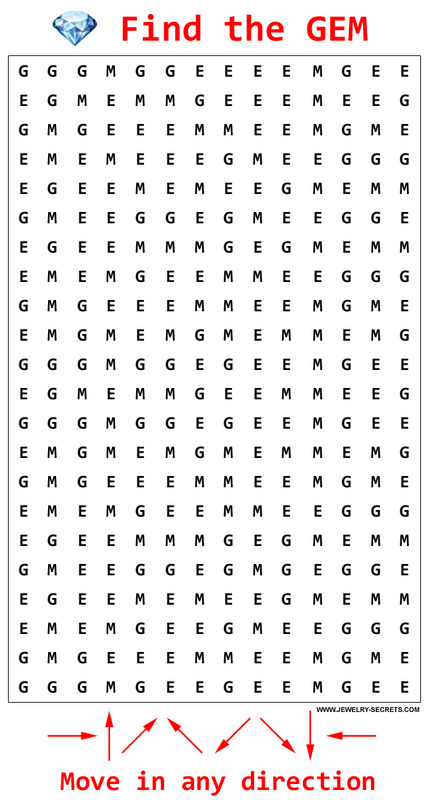 Print out the PDF word search puzzle here. And if you like puzzles (like I do), then check out Amazon for some great puzzle books here. Or, check out all my other fun time-wasting jewelry puzzles here. P.S. If you really, really want the answer; the hidden GEM, then here it is. But no peeking in advance, eh?